Submitted by Mason Hoberg on Nov. 26, 2018. First published on Aug. 10, 2017. and last updated on Nov. 27, 2018 by Alexander Briones. Here we look at the best of these guitar volume pedals, rated according to the most recent reviews and ratings data up to November of 2018. 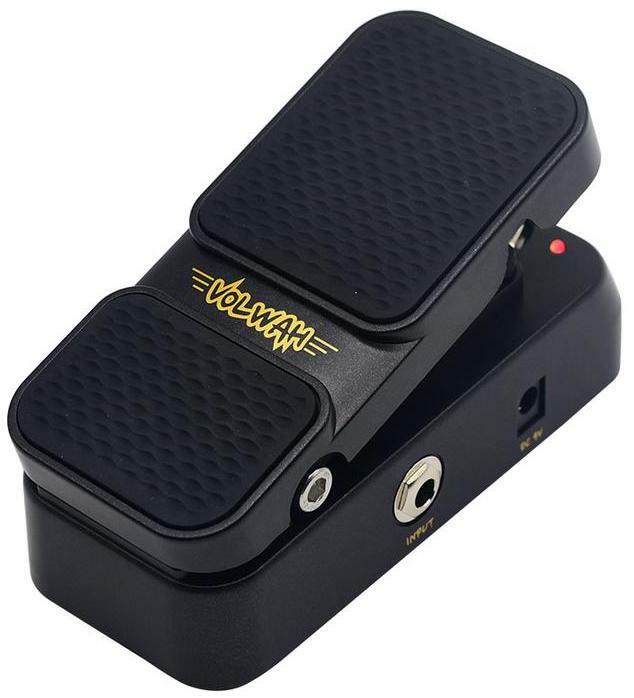 The Sonicake VolWah is a compact pedal that houses two functionalities - that of a volume pedal and a wah. And this extra functionality is made even more special by the fact that the Sonicake VolWah is actually the cheapest one to make this list. It is also among the smallest in terms of size, saving even more pedalboard real estate. It sports a simple pedal controlled active volume circuit, with no extra features to complicate. But what sets it apart is its built-in Wah functionality that is inspired by vintage Crybaby style wah. As expected, it is housed in plastic, but reviewers point that it is robust enough for regular use. There are two LED lights that indicate the mode of the pedal, whether it is on Wah or Volume pedal mode. Value for money is the obvious edge of the Sonicake VolWah, it is simply hard to beat in terms of features per price. But it's not just about getting a lot of return, because most owners are satisfied, if not impressed, by its overall performance and quality. Its simple volume pedal operation is appreciated by many, while there are also plenty of positive comments about its wah function. There are also plenty of guitarists who are very happy with its compact size. Ironically, there are a few others who find the size of the VolWah to be too small for use. There are also a few reports of minor cosmetic issues. If you're looking for a budget friendly volume pedal that gives you the best return for your money then this is your best bet. Crybaby style wahs and volume pedals are known for their smooth response and taper, both of which make them incredibly well-suited to regular gigging. The design is also very durable, which is a plus if you’re going to traveling with the unit. With that being said, Dunlop’s volume and wah pedals are known to gradually degrade under use. This is due to the pots used, though in the vast majority of cases these pedals will still last for several years. Should the pot wear out it can be replaced so long as you’re halfway handy. The repair is actually pretty simple all things considered. The Ernie Ball VP Jr 25K Volume Pedal is a solid option if you’re looking for a mid-range volume pedal for instruments with active pickups. Even better, it’s a great combination of simplicity and durability. 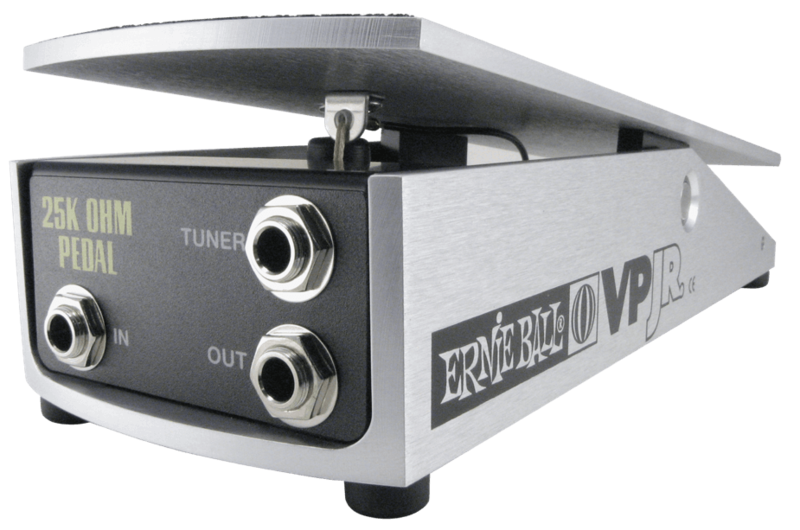 The reason that the Ernie Ball VP Jr 25K has been so well received is that it has a smooth taper and the body of the pedal holds up extraordinary well under regular use (more on this later). 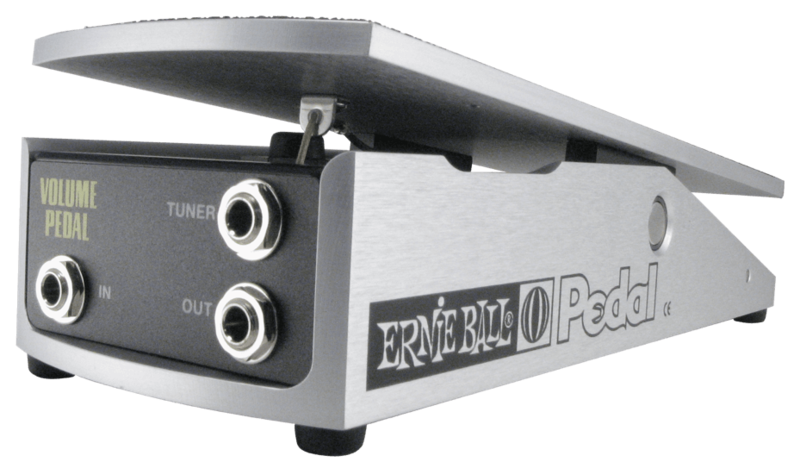 The Jr. line in particular is also beloved because Ernie Ball reduced the line’s footprint when compared to their other volume pedals. Dimensions: 2.4" x 3.5" x 10"
The unit also comes with a tuner output. The tuner output removes your tuner from the signal chain, which can help to lessen your chains overall length. This is a huge selling point if you feel like your tuner has a negative effect on your tone. A potential flaw with the pedal is that many musicians have reported that the mechanism that controls the footswitch isn’t as reliable as the rest of the unit. The pedal uses a Kevlar string and a spring, and the spring has been known to break (though the regularity with which this occurs hasn’t really been discussed). Odds are that it probably won’t happen to you, but it is something to be aware of. The pedal also doesn’t have an expression jack, so you can't use the unit as an expression pedal. With its smaller profile and reputation for reliability, the Ernie Ball VP Jr is easy to recommend. If there’s one thing Boss effects pedals are famous for its their durability, and this is definitely reflected in the Boss FV500H. Like any other Boss pedal, the FV-500H is built like a tank. Everything from the chassis down to the smallest components were built with gigging musicians in mind, so it’s not a piece of gear you’re going to have to worry about breaking down. The FV500H, as denoted by the name, is a high-impedance pedal. This means that it’s going to function best with a passive pickup. 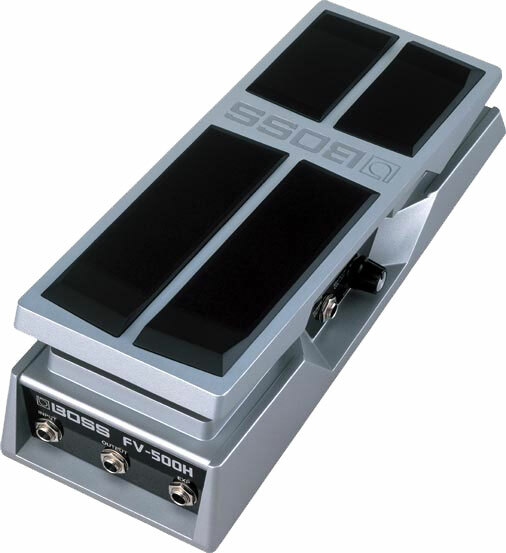 However, the series also has a FV-500L (a low impedance variant of this pedal) which will pair well with active pickups. Dimensions: 2.9" x 4.4" x 4.4"
Looking at the features of the unit, you’d be hard pressed to say that it’s really lacking anything. The pedal comes with an expression output, allowing the pedal to function both as a volume and expression pedal (this can also be done simultaneously). The FV-500H also sports a tuner output, allowing you to keep a tuner on your board without it being a drain on your signal chain. Lastly, the FV-500H also comes with a minimum volume and torque control. The minimum volume control allows you to dictate the lowest volume your volume pedal will achieve, and the torque control allows you to dictate the amount of force needed to use the pedal. As stated above, the Boss FV-500L is very similar to the FV-500H. The main difference between the two units is that the FV-500L is a low impedance pedal, which means that it will function better with active pickups than it will with passive pickups. Like any other Boss pedal, the Boss FV-500L is incredibly durable. A key selling point of many Boss pedals is that they’re one of the few widely available (and affordable) pieces of gear that are capable of handling the stress of regular performance. Just to reiterate the features in case you skipped to this product, the FV-500L is a passive volume pedal that can also function as an expression pedal. The pedal features both a tuner output as well as torque adjustment. The tuner output allows you to use a tuner that, when disengaged, is removed from your signal chain. The torque control allows you to dictate the amount of force required to use the pedal. The pedal also comes with a minimum volume control, which sets the lowest volume the pedal is capable of. 87 out of 100. Incorporating 125+ ratings and reviews. The DVP4 X Mini is a volume pedal that follows after the compact design of the Dunlop Cry Baby Mini Wah. For its size, it is actually quite versatile, as it can be used as an expression pedal for controlling other effects via its aux output. Another nifty feature of the DVP4 X is that it has an internal pot for setting the minimum value of the pedal swing when used as expression controller. Finally, this same aux output is also useful for plugging into a tuner. Dimensions: 2.5" x 2.97" x 6"
Market response to the Dunlop DVP4 X Mini volume pedal is overwhelmingly positive, and it owes most of its commendations to its good overall performance and its pedalboard friendly size. Reviewers describe it as good and reliable pedal that works as intended without hogging too much precious pedalboard space. While most are happy with its small size, some users feel that the size is a little too small for them. There are also a few who are not happy with the ratio by which volume swells up. Still, most users are more than happy to recommend the Dunlop DVP4 X and give it perfect ratings. The Ernie Ball 250K Mono Volume Pedal is a solid option if you’re looking for a rugged yet flexible volume pedal for passive pickups. The unit does have an impedance of 250K, so if you choose to use active pickups with this pedal you’ll likely experience some tone loss. Like other volume pedals in the series, the Ernie Ball 250K comes with a taper switch that allows you to change the pedal’s volume curve. The pedal has two modes, the first of which is a consistent change in volume while the second mode gradually accelerates. The second mode in particular is great for volume swells. Dimensions: 2.75" x 4" x 11"
The unit also comes with a tuner output, which allows you to use a tuner while not having it in your main signal chain. Unfortunately, the Ernie Ball 250K does not have an expression output. So if you’re looking to use the unit as an expression pedal you’re going to want to pick up a TRS cable (though keep in mind this still won’t work as well as a dedicated expression pedal). This pedal also uses a cord to control pedal movement. A lot of musicians feel like this design is more susceptible to damage than traditional designs, though it’s not clear whether or not this is a common issue or reports of an isolated incident. 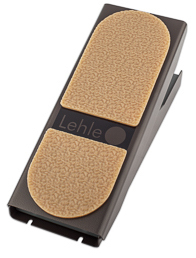 The Lehle Mono Volume Pedal is considered to be one of most reliable volume pedals currently on the market, due almost entirely to the “Hall sensor.” The Hall sensor is a device which uses magnets as a way of sensing to what level the volume pedal should be reducing volume, which results in a pedal with an almost wear-free operation. 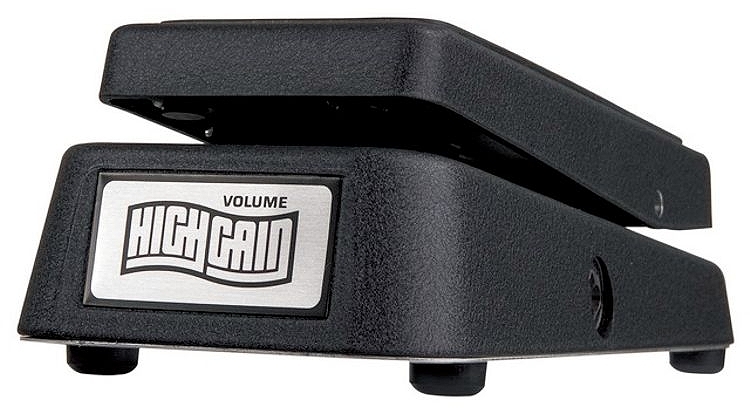 This is also an active volume pedal, which means that in order to use it you will need an external power source. The Lehle uses a power adapter as opposed to a battery. If you don’t already have a power strip to power multiple pedals, the lack of a battery compartment may prove to be an inconvenience. Dimensions: 2.60" x 3.94" x 10.24"
An interesting feature of this pedal is that you can actually use it to boost gain, allowing the unit to function as both a clean boost and a volume pedal. If you don’t already have a clean boost, and you’re using a tube amp, the Lehle would be a great way to add in some transparent overdrive to your tone. Lastly, the Lehle also comes with a buffered out (which can power a tuner pedal or a second amp) as well as torque adjustment. Before buying a volume pedal, there are a few things you’re going to want to wrap your head around. Once you get a handle on the information we’ve laid out below, you’ll have all of the tools you need to find the perfect volume pedal for your rig. A passive volume pedal, like passive guitar pickups, does not use a separate power source. Active volume pedals, like active pickups, use an external power source. Passive volume pedals control a signal's volume like a guitar’s volume switch, while an active volume pedal controls volume with more fidelity. We looked at all the highly rated volume pedals available from major online American retailers and short-listed 22 of them for further analysis - you can see the list in the Music Gear Database. We then gathered ratings and reviews from retailers, forums, YouTube and blogs and major music gear publications - including the most recent ones up to November of 2018. For this update, we ended up with almost 3800 sources, all of which were processed with the Gearank Algorithm to produce the customer satisfaction ratings out of 100 that we call Gearank scores. These scores are then used to make the final selection of the best volume pedals which you see above. For more information about this process see How Gearank Works. Due to being discontinued, we've removed the following volume pedal from our recommended list above, however you can still read what we have to say about it: Dunlop DVP1. Submitted by Jason Horton on Nov. 29, 2018.